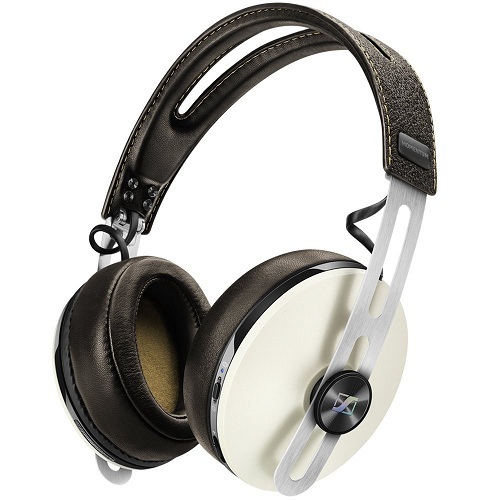 Are you a music addict? Do you love to show off your singing skills while you’re alone in the shower? Of course you do! Unfortunately, you cannot and shouldn’t use your phone while you’re in the shower, and your music player’s sound can’t reach your ears while you’re under the shower. 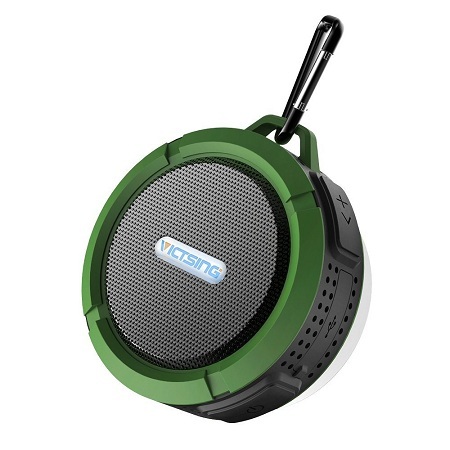 And that’s exactly what waterproof shower speakers are made for, you can hang them on the shower tub or put them on the side of the tub. Whether you want a more lively and refreshing shower or want to keep your kids entertained while taking a bath, we are here for you to make your choice much easier, the upcoming 10 products are the best and will make your showers much more comfortable! 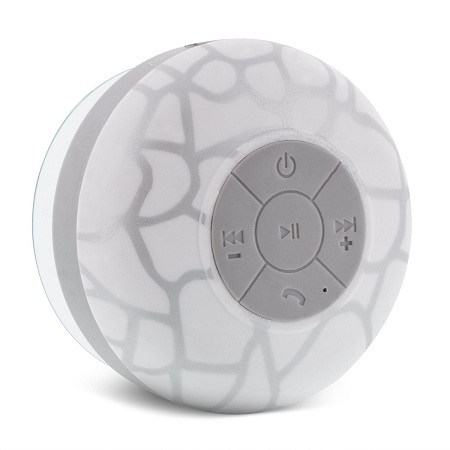 The iFox is built to last, with premium quality components, moreover, it has white filled buttons that will make it way easier to use and discern in the shower. 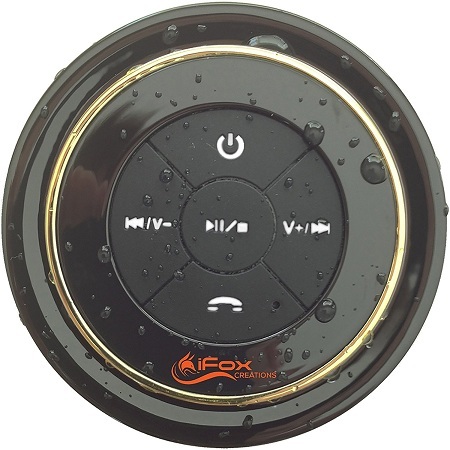 The iFox is fully waterproof and fully submersible, it can take up to 3 feet in depth and still delivers great sound quality while running on mere 3 watts of power, this outstanding shower speaker can be used anywhere and is equipped with a suction cup to stick strongly anywhere you need it, even in your car’s windows. 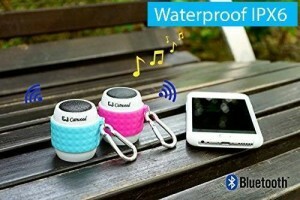 This product’s hardware keeps impressing the masses and its waterproof Bluetooth wireless mini speaker is no exception. Along with its budget-friendly price tag, the IP67 rating allows it to be labeled as dustproof, shockproof and waterproof, it will accommodate in each and every environment and will be able to withstand your showers or rainy days if you’re using it outdoors. 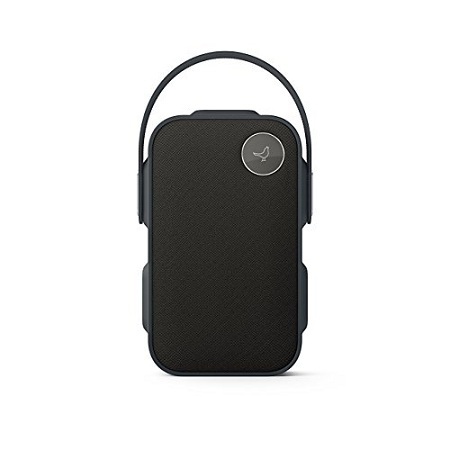 Roughly the size of a paperback book, and designed to look like it, the Libratone One Click portable Bluetooth speaker is an exceptional choice and one of the best to make. 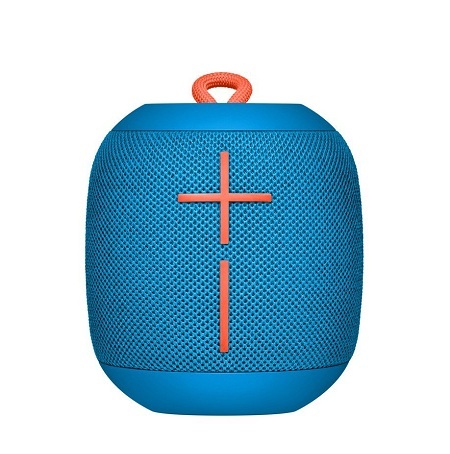 The unique style allows for 360-degree HD sound, spewing deeper bass waves than most other Bluetooth devices, along with 12 hours of battery life to last not only in the shower, but also for a full day at the beach, in the park or while you camp. The IPX-4 rating guarantees it’s splashproof, so although it technically isn’t waterproof, it’ll be fine to use during a bath or a shower. 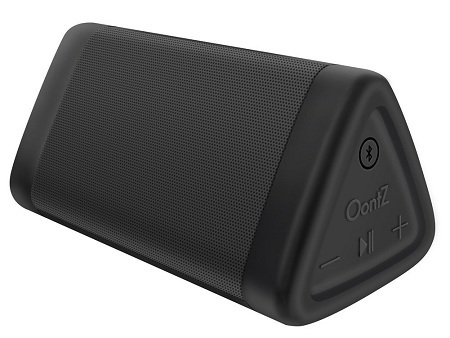 Big time sound without breaking the bank helps make the Sharkk 2O Bluetooth speaker the most ideal option for music addicts who want a good sound speaker which is both durable and waterproof. 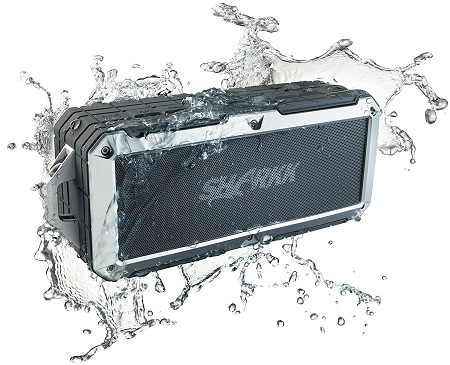 Featuring more than 100 feet of Bluetooth connectivity, the IP67-certified Shark testifies further of both shockproof and dustproof benefits along with the waterproof rating. The 10 hours of battery life are fairly in line with competitive availabilities, and there’s even a built-in microphone for a quick answer to calls. These features help make the Sharkk a worthy purchase, but it’s the rugged rubberized construction and great design that really make the Sharkk stand out. 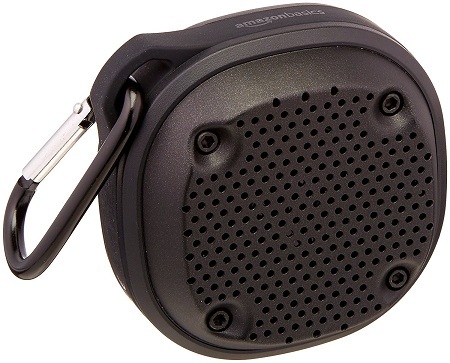 Inside the rubberized frame are dual four-watt speakers for a dynamic sound. 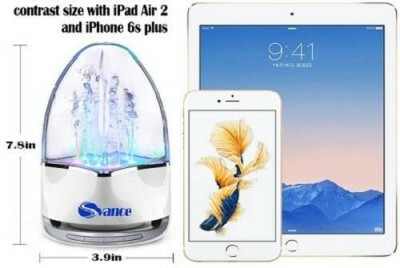 Weighing about 1.9 pounds, it has a carrying strap that allows it to hang from a shower head and the 11.4 x 4 x 3-inch frame is best placed on a shelf or on the side of the bathtub. 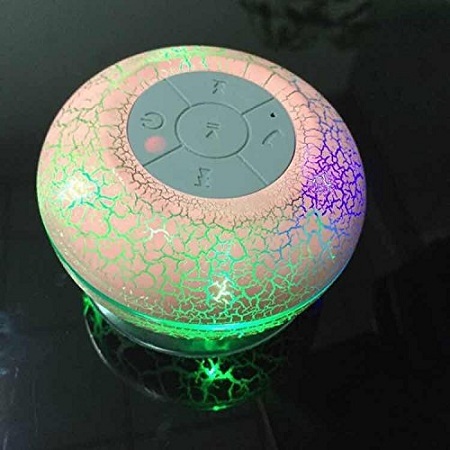 The XmanxNew shower speaker’s design is its best feature, although it’s battery is not very tenacious as it only lasts for 2 hours of playback while you’ll need 3.5 hours of charging, it will shine your bathroom/shower with the most beautiful LED lights that will go along with the rhythm of your music. 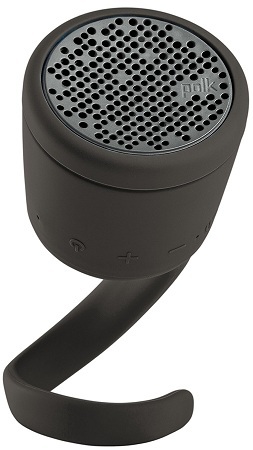 Of course, the XmanxNew allows an easy access to hand free talking, and most options you’ll need quick access to while having a shower, it also supports Bluetooth and wireless transmission and includes a built-in microphone to enjoy its free-hand calling feature.